If you think vacations should include exercise, beautiful scenery, fresh air, sightseeing, and an endless what's-coming-up-next sense of anticipation, then a bike tour should be your next getaway. Plan to have the sun in your face, the breeze at your back, and the world unfold roadside for you and your companions. 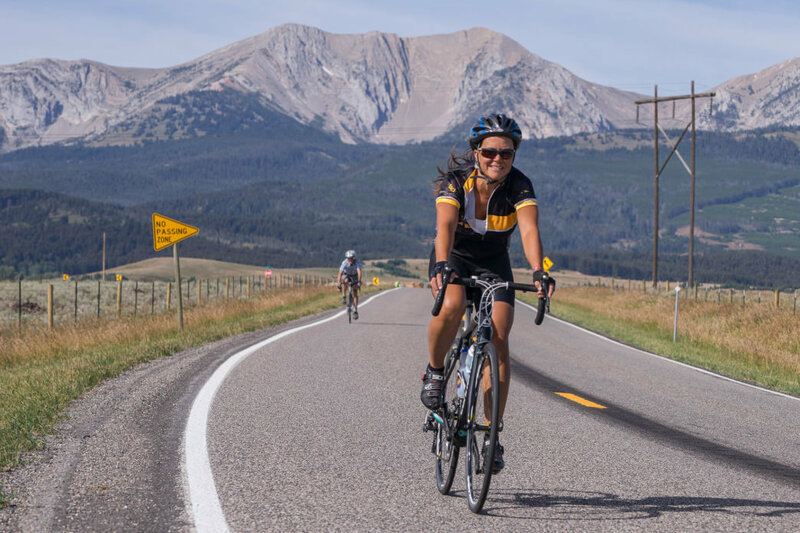 For those new to the sport, a logical first trip would be a supported bike tour in which organizations like the Cycle Greater Yellowstone Coalition provide directions, meals, and transport your belongings between destinations. Even on a supported tour, beginner riders should come prepared because one of the key components of bike touring is a feeling of independence and self-reliance. Here are a few tips to get you ready. You’ll be spending a lot of time with your bike, so make sure you find one that suits your needs. The first step in preparing for a bike tour is choosing the right bike. Bikes come in all shapes and styles, so let's start by narrowing the field. Mountain bikes, even those with "slick" tires, should be avoided. Road bikes possess larger diameter wheels and specialized components better suited for paved roads. Your bike is going to be your partner, for better or worse, during some fantastic and challenging moments. The best matchmaker will be an expert at your local bike shop. Having yourself professionally fitted and sized to the right bicycle is the best guarantee for comfort on the road. (Consider it a first date.) While you're there, ask the expert if your bike has a wide range of gearing if there are hills to climb and long flats to cross. If a self-supported tour is your end goal, a touring-specific bike might be another option. Touring bikes are designed for long hauls and are tough enough to carry you and all your gear no matter where the road may wander. Touring bikes are heavier but geared accordingly. A major addition to most touring bikes is the presence of multiple mounting locations for racks and panniers (also known as saddlebags) to carry belongings and food. Organized events are a great option if you just want to worry about getting from point A to point B. 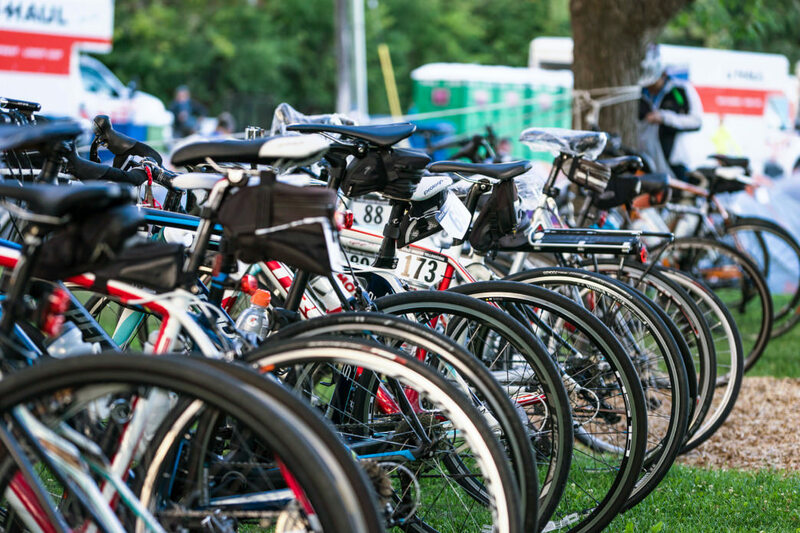 Now that you've chosen a bike, the next step is to start a training program. Short rides during the week (5-15 miles), and a handful of longer rides on weekends (15-30 miles), should be enough. Try and string several days of riding together to mimic the tour, where you will be climbing onto your bike each morning. The low-impact of biking can allow beginners to build toward longer rides without the risk of injury. But the one thing every new biker will experience, even those with high cardiovascular ability from walking or jogging, is saddle fatigue. Sitting on a bike seat for long periods of time can be uncomfortable at first. But once your buns are broken in and you've climbed a few hills back home the tour will be much more enjoyable. You also have to consider preparing for altitude. 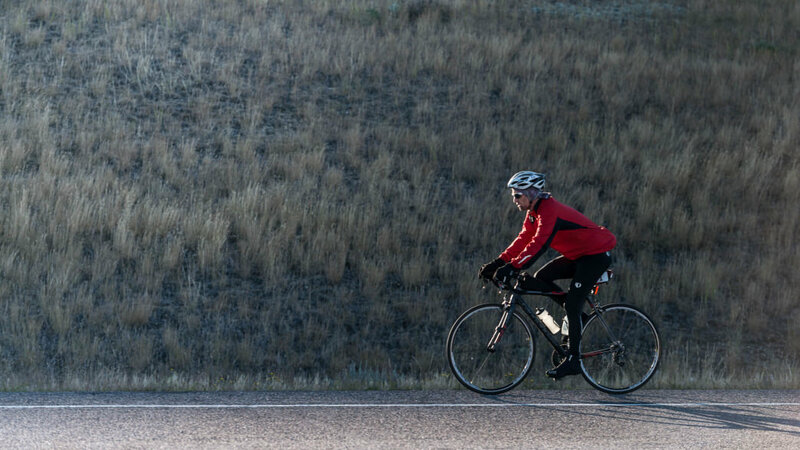 Cycle Greater Yellowstone, for example, stretches over some of the most pristine areas of the country, but does so at high elevations, including some areas considered "high desert." If you aren't able to train at elevation, plan on arriving in the Yellowstone area 1-2 days before the tour begins. Allowing your body to acclimate to high altitude can lead to less fatigue on your first ride. Hydration will also play a key role during a tour at a high elevation â€“ keeping a full water bottle (on and off the bike) is important. If you’ll be riding all day or through a variety of terrain, layering is important. Proper clothing is the final step to ensure a comfortable tour. While bicycle-specific clothing sold by shops or online vendors is not essential, they have often been designed by and for cyclists. All those bright colors have a purpose, too. Neon bike jerseys can provide visual safety from passing motorists who may be paying more attention to the same roadside attraction than to you. Just like hiking or jogging attire, bike clothes should accommodate athletic movements and be made from wool or synthetic fabrics to allow quick drying or warmth when worn wet. Sweat may not be your only concern, though. Inevitably, on this tour or the next, those blue skies will darken and rain, hail, or even snow (at higher elevations) may fall. A mandatory piece of clothing, tucked away somewhere accessible, should be a compressible windbreaker/rainproof shell. Bike tours like Cycle Greater Yellowstone may start with cool mornings and proceed to hot afternoons. The ability to shed or gain layers will increase comfort. Perhaps that same shell can be worn on a frosty morning but tucked away before the first hill climb. Another piece of mandatory clothing are those padded shorts or bicycle pants. A few bits of padding in the seat can make the miles roll away with ease. A helmet is non-negotiable, and glasses are highly recommended as well. Helmet, biking gloves, and riding glasses should be worn at all times. 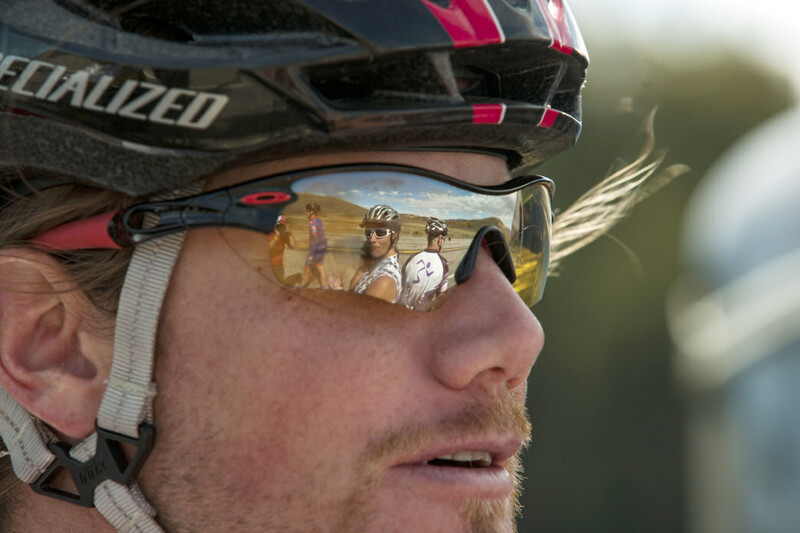 Some riders prefer sunglasses with changeable lenses. This way, even when sun protection is not necessary, your eyes are shielded from buzzing insects or roadside debris that may be kicked up by passing motorists. One of the largest benefits of an organized tour like Cycle Greater Yellowstone is the routine patrol of SAG (Support and Gear) vehicles. If you have a bike breakdown or are unable to complete a ride due to injury or fatigue, you can easily get help. CGY also includes all of your meals and has gear drop stations, so you will have much less to worry about than if you're setting off on a trip on your own. Make sure you know how to change a flat, just in case you don’t have a support vehicle available. 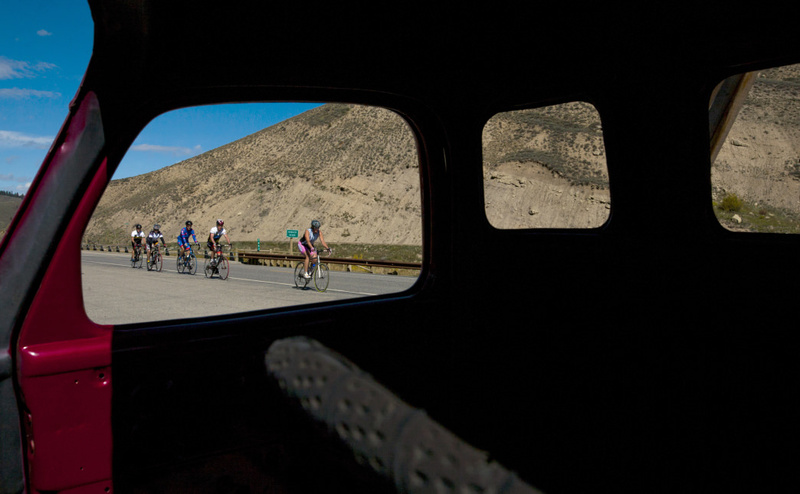 The thin, dry air on the Cycle Greater Yellowstone tour also makes sunblock and extra water necessary. Most bikes come with at least two water bottle mounting locations, so get two of each: water bottles and the cage/holders to set them in. Fill up at every stop and stay hydrated. Once the logistics are out of the way, you can focus on the more important tasks of a bike tour: eating up miles, taking in the scenery, and keeping the bugs out of that wide-open smile. Happy touring! All products are 100% waterproof and made in Germany. Ortlieb designed a new line consisting of three bags that cover important storage locations on the bicycle.The bike packing line includes the following products: a Seat-Pack, Handlebar-Pack, Accessory-Pack. All products are available by mid-April 2016. Thanks for all the Ortlieb love and see you next year! The Velocity waterproof backpack is a versatile bag for urban outdoor & cycling environments. Thanks to our friends at Triptent New York who created this video.